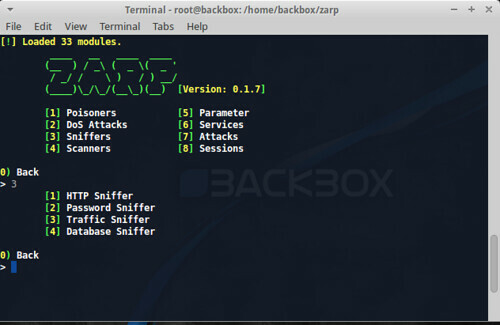 Zarp is a network attack tool centred around the exploitation of local networks. This does not include system exploitation, but rather abusing networking protocols and stacks to take over, infiltrate, and knock out. Sessions can be managed to quickly poison and sniff multiple systems at once, dumping sensitive information automatically or to the attacker directly. Various sniffers are included to automatically parse usernames and passwords from various protocols, as well as view HTTP traffic and more. DoS attacks are included to knock out various systems and applications. These tools open up the possibility for very complex attack scenarios on live networks quickly, cleanly, and quietly. The long-term goal of this network attack tool zarp is to become the master command center of a network; to provide a modular, well-defined framework that provides a powerful overview and in-depth analysis of an entire network. This will come to light with the future inclusion of a web application front-end, which acts as the television screen, whereas the CLI interface will be the remote. This will provide network topology reports, host relationships, and more. zarp aims to be your window into the potential exploitability of a network and its hosts, not an exploitation platform itself; it is the manipulation of relationships and trust felt within local intranets. So a few days ago the Internet exploded with chatter about a Dell backdoor root cert AKA a rogue root CA, almost exactly like what happened with Lenovo and Superfish. It started with this Reddit thread – Dell ships laptops with rogue root CA, exactly like what happened with Lenovo and Superfish in the Technology sub and got a lot of traction from there. It’s pretty ironic they made the above statement on their website..and then did exactly what they promised not to do. Twice. And yes, it’s not a useless cert – it can be used to sign server certificates and therefore perform man in the middle attacks. Plus you can drop in signed malware posting as Chrome/Firefox/whatever updates and have the machine accept then as trusted by the rogue root. And yes, there’s proof you can sign code with it here. New models from the XPS, Precision and Inspiron families include a powerful root CA certificate called eDellRoot, which puts the machines’ owners at risk of identity theft and banking fraud. The self-signed certificate is bundled with its private key, which is a boon for man-in-the-middle attackers: for example, if an affected Dell connects to a malicious Wi-Fi hotspot, whoever runs that hotspot can use Dell’s cert and key to silently decrypt the victims’ web traffic. This would reveal their usernames, passwords, session cookies and other sensitive details, when shopping or banking online, or connecting to any other HTTPS-protected website. Stunningly, the certificate cannot be simply removed: a .DLL plugin included with the root certificate reinstalls the file if it is deleted. One has to delete the .DLL – Dell.Foundation.Agent.Plugins.eDell.dll – as well as the eDellRoot certificate. So removing the cert and rebooting doesn’t even help as there’s a .DLL file which will reinstate the certificate on logon. It’s probably for support software, and self signed certificates aren’t uncommon, the problem comes into play when the private key is also available on the laptop – which it is. Which means you can sign whatever you want (including server certs and software) with this certificate (which then any Dell laptop with the cert installed, will automatically trust). Today we became aware that a certificate (eDellRoot), installed by our Dell Foundation Services application on our PCs, unintentionally introduced a security vulnerability. The certificate was implemented as part of a support tool and intended to make it faster and easier for our customers to service their system. Customer security and privacy is a top concern and priority for Dell; we deeply regret that this has happened and are taking steps to address it. The certificate is not malware or adware. Rather, it was intended to provide the system service tag to Dell online support allowing us to quickly identify the computer model, making it easier and faster to service our customers. This certificate is not being used to collect personal customer information. It’s also important to note that the certificate will not reinstall itself once it is properly removed using the recommended Dell process. A second root certificate has been found in new Dell laptops days after the first backdoor was revealed. The DSDTestProvider certificate was first discovered by Laptopmag. It is installed through Dell System Detect into the Trusted Root Certificate Store on new Windows laptops along with the private key. Dell has been contacted for comment. The Texas tech titan has called the first certificate gaffe an “unintended security vulnerability” in boilerplate media statements. Carnegie Mellon University CERT says it allows attackers to create trusted certificates and impersonate sites, launch man-in-the-middle attacks, and passive decryption. “An attacker can generate certificates signed by the DSDTestProvider CA (Certificate Authority),” CERT bod Brian Gardiner says. “Systems that trusts the DSDTestProvider CA will trust any certificate issued by the CA. So yah, not once – but twice. Dell finally issued full instructions (not in a Word document) to remove both certs for good. At the time of writing, a bunch of images in the document are broken – but it should be enough to remove the certs. So yah, Dell screwed up pretty badly this time and I’m guessing lost a lot of trust from consumers. It’s hard to know who to choose nowadays with Lenovo out the pictures (and they bought Thinkpad) and now Dell being dodgy. I’ve had a good experience with Asus personally, but I always reinstall fresh Vanilla windows on any laptop I have to use so YMMV. American fuzzy lop is a security-oriented fuzzing tool that employs a novel type of compile-time instrumentation and genetic algorithms to automatically discover clean, interesting test cases that trigger new internal states in the targeted binary. This substantially improves the functional coverage for the fuzzed code. The compact synthesized corpora produced by the tool are also useful for seeding other, more labour or resource-intensive testing regimes down the road. Compared to other instrumented fuzzers, afl-fuzz is designed to be practical: it has modest performance overhead, uses a variety of highly effective fuzzing strategies and effort minimization tricks, requires essentially no configuration, and seamlessly handles complex, real-world use cases – say, common image parsing or file compression libraries. It is pretty sophisticated. It’s an instrumentation-guided genetic fuzzer capable of synthesizing complex file semantics in a wide range of non-trivial targets, lessening the need for purpose-built, syntax-aware tools. It also comes with a unique crash explorer and a test case minimizer to make it dead simple to analyze and evaluate the impact of crashing bugs. It has street smarts. It is built around a range of carefully researched, high-gain test case preprocessing and fuzzing strategies rarely employed with comparable rigor in other fuzzing frameworks. As a result, it finds real bugs. It is fast. Thanks to its low-level compile-time or binary-only instrumentation and other optimizations, the tool offers near-native or better-than-native fuzzing speeds against common real-world targets. The newly-added persistent mode allows for exceptionally fast fuzzing of many programs with the help of minimal code modifications, too. It’s rock solid. Compared to other instrumentation- or solver-based fuzzers, it has remarkably few gotchas and failure modes. It also comes with robust, user-friendly problem detection that guides you through any potential hiccups. No tinkering required. 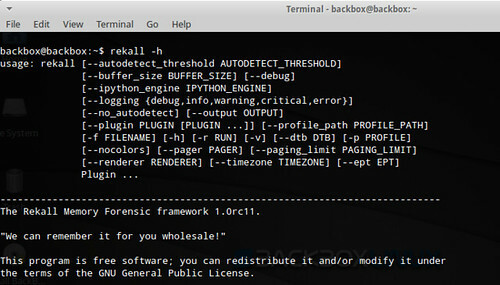 In contrast to most other fuzzers, the tool requires essentially no guesswork or fine-tuning. Even if you wanted to, you will find virtually no knobs to fiddle with and no “fuzzing ratios” to dial in. It’s chainable to other tools. The fuzzer generates superior, compact test corpora that can serve as a seed for more specialized, slower, or labor-intensive processes and testing frameworks. It sports a hip, retro-style UI. Just scroll back to the top of the page. Enough said. 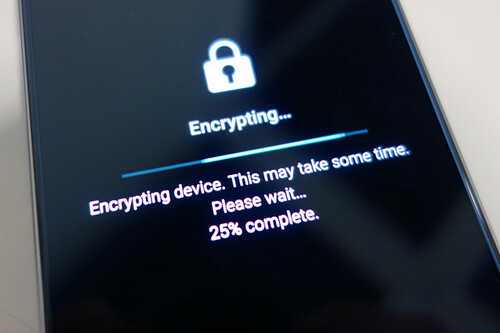 There have been multiple mentioned of ISIS using encryption and ‘encrypted messaging systems’ in the news reports since the Paris incident, it turns out they mostly mean Telegram. Which we’ve only mentioned once before, when they got pounded by an epic DDoS attack. Now it turns out, ISIS has a whole help desk infrastructure set-up with what basically maps to tiers of support for cryptography usage in your day to day terrorist communications. When you graduate through the basic levels of encryption your comms, you get moved up to Tier 2 support – wow. Radical group ISIS is running a help desk to assist jihadists to use encrypted communications, NBC reports. US Army Combating Terrorism Center (CTC) analyst Aaron F. Brantly says the help desk is a new development which has increased in capacity over the last year. It is manned with six operatives who train recruits on the use of select messaging platforms to evade intelligence operatives. “They’ve developed a series of different platforms in which they can train one another on digital security to avoid intelligence and law enforcement agencies for the explicit purpose of recruitment, propaganda and operational planning,” Brantly told NBC. The deranged sys admins are located around the world who hold a minimum university education in tech. Other members help keep the desk as a follow-the-sun operation, Brantly says. The CTC holds some 300 pages on instances of the help desk providing operational security pointers to recruits. Seems like they’re adopting start-up culture in some ways on an operational level in ISIS, which is both impressive and scary at the same time. And with Anonymous announcing Jihad on the Jihadis – things are definitely going get interesting in cyberspace. Once the would-be jihadis are security savvy, they are connected to more senior operatives to engage in more formal training, Brantly says. Help desk admins are also warning of the current wave of attacks in retaliation for the Paris attacks from the Anonymous collective, organised through the @opparisofficial Twitter handle. Reports suggest advice is circulating to jihadis warning against opening suspicious links and suggesting regular IP address shuffles. The collective has so far focused on taking down Daesh Twitter accounts and claims to have scalped more than 5000 by reporting them to the social network. Encryption is once again coming under mis-directed fire in the wake of the Paris attacks as news emerges that intelligence services had wind of possible attacks in the French capital but were foiled as jihadis moved to crypto communications platforms. As always, naysayers will point at Apple, Google and anyone other platform or technology that utilises strong encryption algorithms and say they are supporting terrorist activities. That’s happening again here, as expected. KeeFarce allows you to extract KeePass passwords (2.x) by using DLL injection to execute code and retrieve the database information from memory. The cleartext information, including usernames, passwords, notes and url’s are dumped into a CSV file in %AppData%. 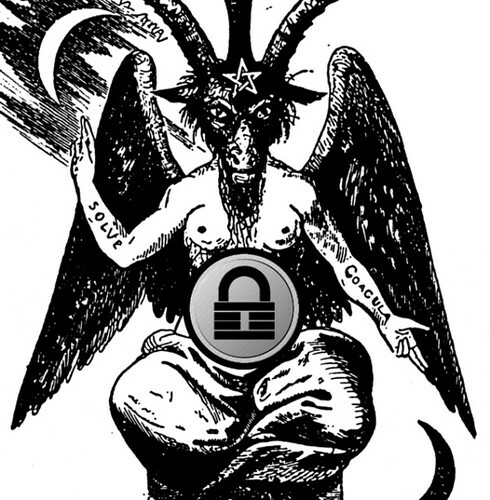 KeeFarce uses DLL injection to execute code within the context of a running KeePass process. C# code execution is achieved by first injecting an architecture-appropriate bootstrap DLL. This spawns an instance of the dot net runtime within the appropriate app domain, subsequently executing KeeFarceDLL.dll (the main C# payload). 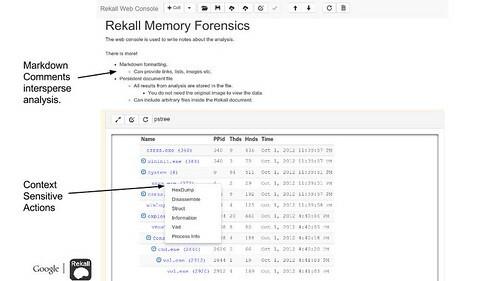 The KeeFarceDLL uses CLRMD to find the necessary object in the KeePass processes heap, locates the pointers to some required sub-objects (using offsets), and uses reflection to call an export method.